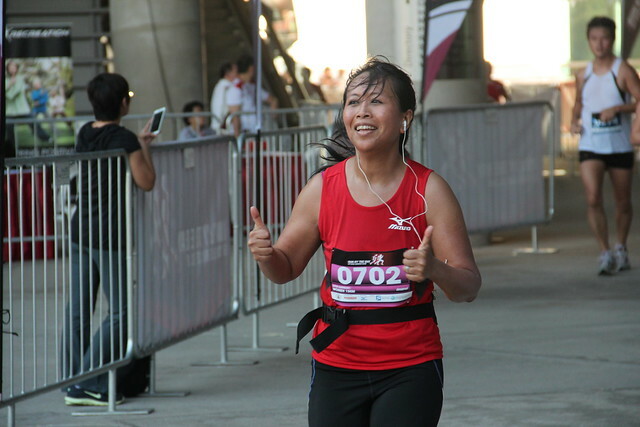 As you’ve probably read in my earlier post, I’m currently training for the Singapore City Race. There are various categories in there – 8 km, 15 km, 25 km and 40 km. I signed up for the 25 km one but I was training as if I was going for the 40 km one. After all, I’ve already completed a marathon, I should be able to ace it for this one too right? Of course, the first few weeks it went smooth … but one month into my training, I’m just not feeling it. Maybe previously I haven’t been jogging for a while? Or maybe I’ve been over-training? Nevertheless, after my long run, my whole body aches all over and instead of being in a euphoric state, I’m in a bad mood and don’t feel motivated. At all. By the way, my New Balance Minimus is so worn out now. To the point that the sole is smoothed out. I’ve been forced to run in my old runners and I hated the feeling. It feels so heavy and clunky. But what to do? I don’t have anything else. I’ve been trying to find new ones to replace them. But it seems that in Italy, New Balance doesn’t stock them any more. I wasn’t too surprised though, as Minimalist shoes aren’t that popular in Italy. I could check out if there are some for sale left in Singapore. I guess in the meanwhile, I’d have to continue running in my old clunkers.